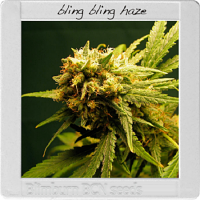 High-Jack Feminized Cannabis Seeds by Sensible Seeds Premium Selection: The High-Jack cannabis plant is a delightful mix of some of the best old skool strains out there... A cross between Skunk #1, Northern Lights #5 and Haze, the result of this blend has created one of the world’s finest strains ever; famed for its super medical properties as well as its volcanic effects once smoked, this is not one for the faint hearted! High-Jack plants are tough and pest resistant so ideal for first timers, and for the outdoor cultivator they are weather hardy as well. When grown the thick olive green buds have so many crystals dripping off them they spread to the leaves and even the stem, so much so the whole plant will mesmerise you with its glistening sparkles. You really have to see it to believe it. Medium flowering time, High THC, Good Yields and CBD means this beauty ticks all the right boxes. The flavour is an aromatic citrus, fresh with a hint of spice. 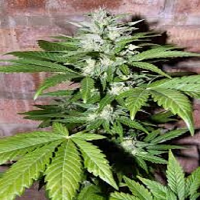 High Jack can be grown as a commercial crop though it is usually sought more often by the cannabis connoisseurs owing to the earth shattering effect when smoked. It will strap rockets to your feet and blast you into the stratosphere higher and higher Strong, energising, euphoric, uplifting, inspiring, creative.....need I say more??? Its medical properties are excellent, especially for conditions of the mind. 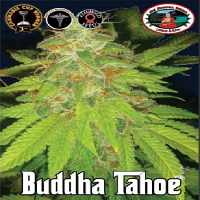 If cannabis seeds had a royal family High-Jack would be sitting firmly on the throne as the Emperor. Effect: Euphoric, happy and uplifting. Strong and Energising - Wow factor guaranteed! !